Get the “Mystic Stylez” 20th Anniversary Vinyl Now! 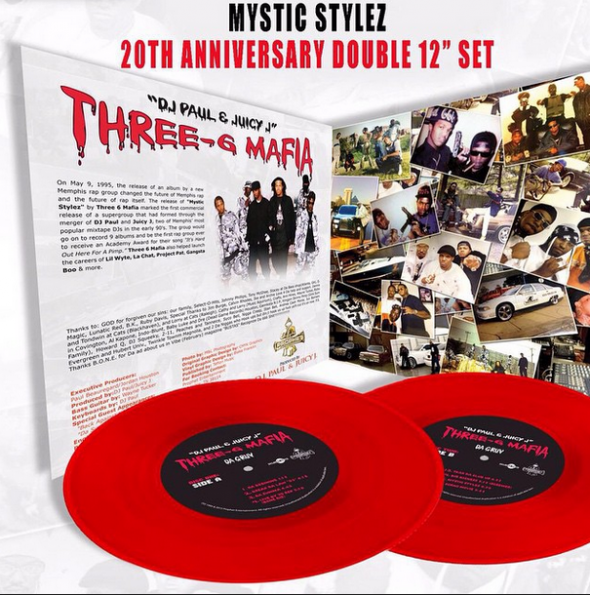 Available now for purchase get the “Mystic Stylez” 20th anniversary 12″ vinyl set. You can choose from the standard set or buy a set that is autographed by DJ Paul and Juicy J! Click here to purchase your vinyls. Stay tuned for upcoming chances to win a copy!